Question 1: Explain what educational skills, strategies, or information you learned this year that will be most helpful to you as you continue your education? Question 2: What would you change about this class in the future? Question 3: What advice would you give to students taking this class in the future? Listen to the three speeches below. One is by Adolf Hitler (German leader), one by Joseph Stalin (Soviet Leader), and the last by Winston Churchill (British PM). As a comment rank them 1-3 by content, and then rank them 1-3 by general speech abilities (who is the best speaker). So that means you'll have two sets of rankings. For each one write a brief 3-4 sentence explanation for why you ranked them like you did. + How might the geographical area they were fighting in have contributed to their casualty country. + Who were they fighting (ex. 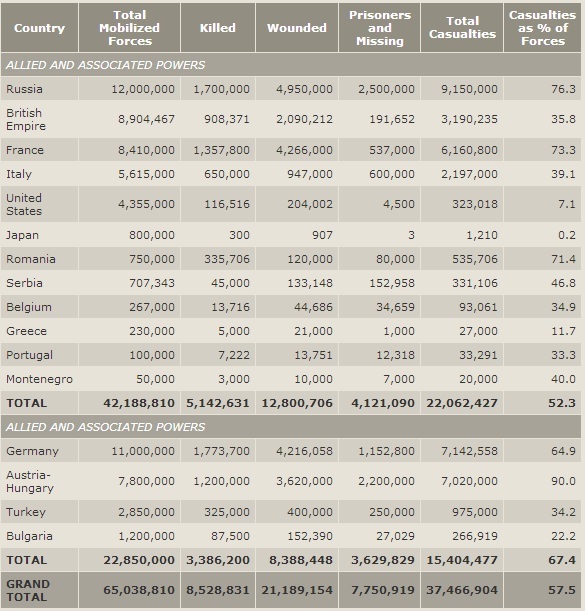 an industrialized nation or highly nationalistic nation) and how might that have caused more of less casualties. - What does their "Casualties as % of Forces" tell us about this countries fighting capabilities, training, and technological development of that country's armed forces? - Compare your country to the most modern (most Industrialized and Liberalized) country in the world (The United States) and come up with a possible explanation for why your country's statistics (especially Casualties as % of Forces) are higher or lower. Choose one of the following empires and explain how the process of industrialization changed (or did not change) the social, political, and economic structures of the empire during the 19th century. Maximum of 2 students per country. Part 1: Why do you think that revolution did not spread to countries like England, Russia, Prussia, and the Hapsburg Empire, even though enlightenment ideas were spread there as well? Part 2: Challenge another student's post making a counter-assertion, along with your reasoning and evidence. Reply to on of the following statements in either the affirmative or the negative. You need to choose whether you believe the statement or not, and give at least three pieces of evidence to support your hypothesis. The Renaissance is directly responsible for many influential thinkers and ideas. Of them which idea had the greatest overall impact of turning the development of Europe away from the thinking of the dark ages? Explain your reasoning in 3-4 sentences. After reading the Article "Why Study History" by Peter Stearns answer the following questions. For each question you will need a good 3-4 sentence explanation. Question 1: Which of Peter Stearns' explanations for the value of a history education best relates to your educational, and professional goals. Explain how. Question 2: In your own words explain your motives for taking this class and what and your goals for the coming year? This is the online forum which I will be using to post questions that you all will be able to post responses to. It will be a helpful way for us to discuss homework assignments outside class. Please feel free to post questions about the class and materials on here as well! I'll be sure to answer them as soon as possible, but please feel free to help each other out! Write out well thought responses to the following questions as they relate to materials covered in class throughout the year.